Handa Island off the North West coast of Scotland is recognised as globally important for its breeding seabird colony. The sandstone cliffs rise dramatically from the Atlantic and each summer they are filled with breeding pairs of puffins, razor bills, kittiwakes and fulmers. But, it’s the guillemots that dominate this colony, with over 30,000 breeding pairs. 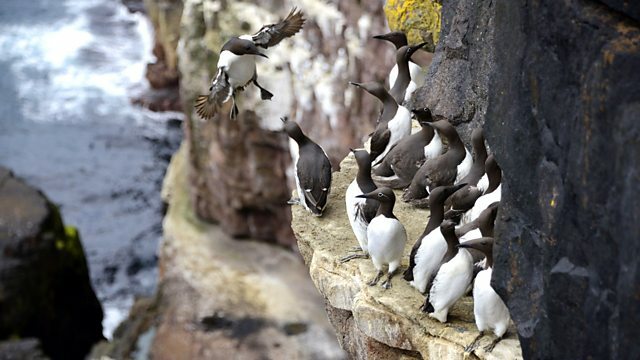 The team was granted unprecedented access to film the wildlife here, the ambition was to capture the guillemot’s story from egg to chick including the finale... a heart stopping leap from 400 feet.